MicroSummary: Nassim Nicholas Taleb explores in The Black Swan the problems of perception caused in people by random, unexpected events such as 9/11, which have an enormous impact on humanity and which people try to explain to no avail. It’s a fantastic book for helping you get to know each other better and prevent you from falling into rational pitfalls in which we find ourselves trying to explain unpredictable situations and learn from them. Random events, along with our cognition failures, create logical challenges that, if we do not understand how our brain works and how we deal with them, can bring us major problems. What is a Black Swan? Is it something positive, or a mere reflection of the bad things that occur? Do you ask yourself these questions as you are reading this? “The Black Swan Summary enters into the depths of human development and resolves many mysteries linked to it. Stay with us to find out what this concept means and how it shapes your mindset. Who Should Read “The Black Swan”? and Why? “The Black Swan” has no particular target group of readers to whom the book is intended. Written and designed for all audiences especially for enthusiasts that are restless and hungry for new knowledge that opposes the traditional way of predicting, forecasting, analyzing, calculating and estimating different events that happened or may happen in the future. Taleb as a philosopher tries to confront society’s imposed view with a broader perspective and share it with the public concisely and succinctly. 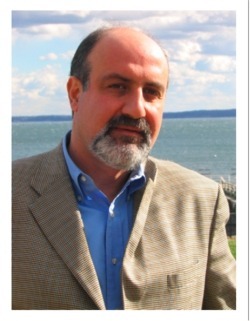 Nassim Nicholas Taleb was born in 1960 in Amioun, Lebanon. He is an American-Lebanese essayist, philosopher researcher, trader, and financier who works and dwells in the US. As a polyglot Taleb fluently speaks five languages: English, French, Arabic, Italian, Spanish and he is also able to read classic Greek and Latin scripts. Currently, he is Dean’s Professor in the Science department at the University of Massachusetts and a professor at the Institute of Mathematical Sciences at New York University. Taleb emphasizes the great importance of randomness and as a “skeptical empiricist” believes that all scientists exaggerate the value of logical and analytical explanations of past data and undervalue the real relevance of randomness in those data. His point of view – the past can’t and must not be used to predict the future is shared by lots of skeptical philosophers such as Montaigne, Algazel, Pierre Bayle, and David Hume. His most celebrated works are Fooled by Randomness; The Black Swan; The Bed of Procrustes; AntiFragile, Skin In The Game. You know that you should read the book and you know who the author is. But you still do not understand what “The Black Swan” is? Do not worry; we are just getting started. To understand Black Swan, first, you must comprehend certain critics and opinions by philosophers, experts, and writers in different fields. Thinking is a relative concept that is based on uncertainty and possibilities. 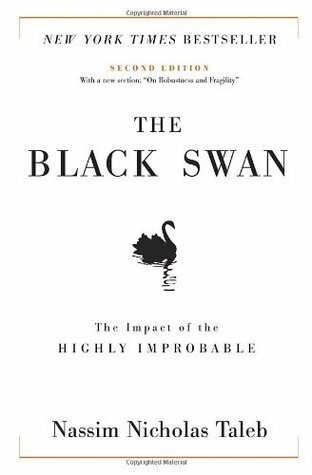 Nassim Nicholas Taleb as a well-known essayist, philosopher, and trader describe today’s economists, gurus, so-called “experts,” bankers and CEOs incompetent to understand black swans, to predict future events and the risk they carry with them. Now we get to define the term. “Black swans” represent profoundly meaningful, sometimes consequential and unbelievable events that may or may not happen at some point. Black swans are labeled as an unfortunate turn of events, which are not only explainable but understandable as well. Anyway, you have to show flexibility and open-mindset to accept such dose of uncertainty without falling into despair. Over the course of thousands of years, the symbolic meaning of Black Swans has swept the world. It changes history, literature, business climate, science, economy and everything the sun touches. As the world is “invaded” by technology – globalization takes control of the processes. Connecting with each other is becoming a straightforward mechanism, now more than ever. The human mind also goes with the flow, by eradicating its delusions and embracing randomness as something that can’t be eliminated. The Bell Curve is one of the few statistical-forecasting factors, which turn a blind eye to the effects deriving from black swans. These tools are casting doubt on randomness, and refuse to acknowledge its realistic waves. They also provide future predictions and precise explanations as worst as possible. Even a movie starring Natalie Portman is set to give you a hint on the future while recalling memories and memorable events. It was not possible to predict that the Black Swan existed before it was first seen. Rare events like the first Black Swan occur more often than we imagine and our minds are programmed to deal with what we have seen before. However, extreme events usually occur and have significant impacts. Our tendency to ignore them comes from the fact that people tend to underestimate their ignorance. There is much that we do not know, but since feeling ignorant is something that does not make us feel good about ourselves, we tend to downplay this characteristic of ours. We create stories where they do not exist. We “invent” explanations of why things happen after all this is much more enjoyable than feeling stupid and ignorant when some unforeseen happens. Human knowledge is constantly growing and evolving, and the dogmatic approach we tend to take makes no sense. We cannot be sure of our beliefs, for they make us blind to concepts that are outside what we believe to be true. he effects can profoundly affect some people and others can go practically unharmed. The only way to be aware of these impacts is information. The more ignorant you are, the more likely you are to be surprised by a swan. The more informed you are, the less likely you will be hit. A Black Swan can transform the whole modern understanding of science, impacting philosophy, theology, and physics. In the 15th century, when Nicolaus Copernicus proposed that the earth was not the center of the universe, the consequences were immense, at all levels. He challenged religion (yes, the Catholic church suffered major impacts), but also paved the way for a cultural change in society and science. Swans like this change cultures and increasingly accelerate change in the world. To better understand the impact of the unlikely, Nassim Taleb divides human knowledge into two main areas of randomness, separating the two major groups of unlikely effects in our lives. By dividing the improbable into two large groups, it becomes easier to understand how it deceives us and thus proves our inability to make predictions. The first of them is called by Taleb of Mediochristian, describing a land where averages are the rule. In Mediochristian our sampling of information and data available is very large, and no single fact will change the way the model works. The data in this context is not scalable, as it has defined a minimum and a maximum limit. Examples of Mediochristian information are, for example, physical characteristics such as height and body weight, and even IQ. A dimension such as a person’s weight is not considered scalable, as there are physical limitations regarding how much a person can weigh: while it is possible for one to weigh 300kg, it is physically impossible for someone to reach 1000kg. Since the properties of such non-scalable information are certainly limited, it is possible to make relatively accurate predictions about the means. The second territory is the Extremistan, and it is in it that the extremes live. In Extremistan, the information is so disproportionate that a single observation can dramatically impact our observations and mislead our ability to make predictions. Extremistan brings the nonphysical side, fundamentally abstract things. Examples of data and information emerging from the Far East are far more diverse. Examples include: Deaths in terrorist attacks, book sales by an author, inflation rates. Other than data such as height and weight, wealth distribution and album sales are scalable items. For example, you can sell your book in digital format through Kindle infinitely, because the digital format does not require you to print a book with each copy sold. Another example is wealth, which is highly scalable: it is possible for a small percentage of the population to own an incredibly large portion of wealth. And if you analyze the data looking at the average, you can be deceived with a representation of the income distribution that does not accurately reflect the reality of people. Be careful not to be turkey on Thanksgiving Day… Imagine the following scenario. You are a turkey, which is fed daily, well taken care of every day, for years and your life is going ok. But on Thanksgiving, a surprise occurs. You are not fed, you are murdered and eaten by the people who feed you. That is the metaphor that Taleb uses to illustrate how to observe the past to predict the future. It also proves that the Black Swans are relative. For you (the turkey), the Thanksgiving dinner is definitely a Black Swan, but for the Thanksgiving dinner cook, there is no surprise in this event. We often look at our lives as if things were happening in the Mediochristian, when, in fact, life occurs much more in the kingdom of Extremistan. To learn to deal with this, one must accept, embrace and understand the unpredictable nature of the world, rather than ignore it. That will not make you not be the turkey, but at least it will allow you not to get accustomed to the status quo. Do not Trust Your Brain! Our brains play tricks on us. Always. We tend to conclude that similar sounding phrases have absurdly different meanings. For example, if we say, “We have no evidence that there are Black Swans,” many people may understand that there are no Black Swans. The lack of proof that something exists does not mean that it does not exist. It is not because there has never been an earthquake in your city, that it will never occur, will it? There is also the tendency of our brain to seek evidence, the so-called fallacy of confirmation. Our brain is accustomed to searching for evidence that things exist or will occur. But given our ignorance, to seek evidence that what we believe is real can greatly limit our line of thought and make us ignore information that does not support our beliefs. It is often more valuable to search for facts that go against our beliefs than those which support it. That leads to much more powerful discoveries and allows us not to be blinded. Another flaw in our operating system is that we are in the habit of creating stories based on collections of events that occur in our lives. The author calls this failure a narrative fallacy. It is characterized by exploiting our limited ability to analyze sequences of events without adding an explanation to them. Explanations tie the facts and make them easier to remember, but our brains always seek to tell a story where events are correlated and meaningful. However, by condensing facts into a single narrative, we end up generating a loss of information and have a great tendency to oversimplify things. We discard the data that makes no sense in our history, and that leaves us at the mercy of the swans. According to cognitive psychologists, we have two kinds of thoughts. 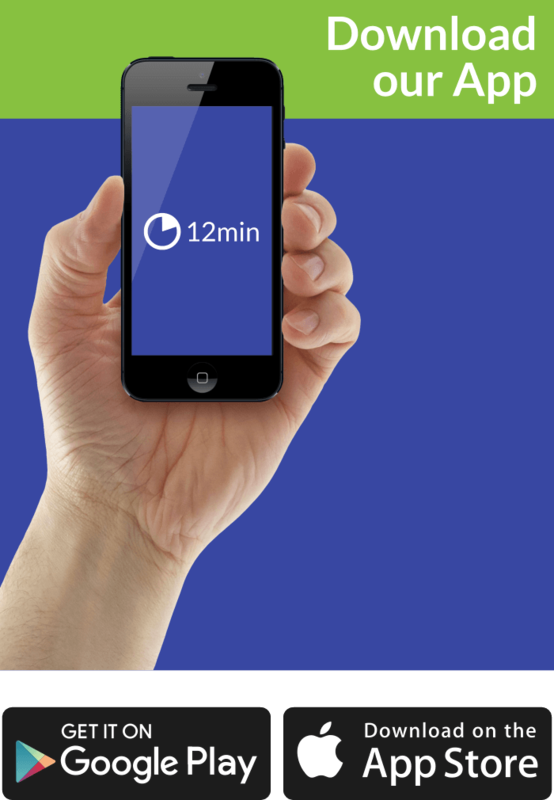 Type 1 thinking is instinctive, fast, immediate, and based on your experience with the world. This system is advantageous for having high speed and helps you react quickly to external stimuli but is also very prone to errors. System 2, on the other hand, is slow, rational and self-aware, much more useful in the classroom not at a time of quick thinking between life and death. The problem is that we often confuse thoughts from system 1 with system 2 because at level 1 we have no control over them. Often, we believe that the thoughts that come from system 1 are based on analysis rather than reflexes, and this harms our cognition. System 1 leaves us blind to Black Swans and often misinterprets them as well. System 1 considers primarily anecdotal data and based on our experience rather than using statistics or empirical data. Know your brain. Do You Want to Do Something Improbable? Have you ever dreamt of being a great author or creating a great company in an innovative market? If this is what you seek, Taleb has an interesting point of view. The human being needs constant, tangible results and rewards to continue to pursue something. A number of small, constant rewards usually bring more happiness and fulfillment than a substantial reward. There are two types of progress. The uniform and linear, and the nonlinear, which tend to occur in large jumps, alternating with stagnation. But while we prefer to believe that the world works in a linear perspective, this is not the right way to approach the problem. Nonlinear situations are the most constant in life, and linear conditions tend to be the real exception. His learning comes from things so diverse and in many cases random that to believe that the linear model is the best model ends up becoming a fallacy. The linear model is adopted in classrooms and books just because they are easier to understand. Besides, the humans have the limitation that in viewing the past, they select the parts of a process that fit his impressions and ignores the parts that do not conform to his preconceptions. Our mind creates a record that ignores the facts which do not fit our mental model, and Taleb calls this the silent evidence. For example, humans tend to see authors of famous books as extremely talented and attribute the reason for their success to their talents. Many writers with various works never get to have a book published by a major publisher and become a bestseller. Therefore, they end up not getting known by the public. As we do not have access to the works of hundreds of thousands of authors who have never had their books published by the major publishers, we tend not to take into account their importance and relevance. We, as human beings, tend to consider only the Black Swans who have had the right combination of talent and luck to secure their place in the hall of fame. The presence or absence of talent cannot be proven as a cause of success in the publishing world. Silent evidence did not create a black swan and therefore did not receive public attention. For Taleb, serendipity, positive surprises, plays a crucial role in the role of scientific breakthroughs. The traditional model of research and discovery works like this: You search for something you believe in (as a new path to India), and you discover something you didn’t know was there (You discover America). Therefore, it is important to be open to the possibility of having unplanned results for our activities. That can help us advantageously benefit the Black Swans when they appear. There is a law in statistics, called the law of iterated expectations. It states that the expectation of attaining knowledge by itself is equivalent to the knowledge itself. If I expect something to happen by a certain date in the future, I expect this something in the present. If you know what the discovery will do in the future, you have almost discovered it. To understand the future to the point of predicting it, you need to incorporate elements of the future into your present, that is, to add uncertainty components in your experiments. 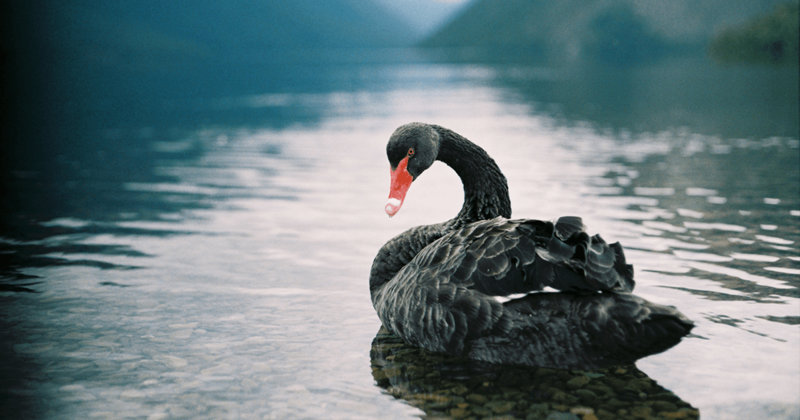 If you are ready to embrace your ignorance, here are some practical tips from Taleb to learn how to capture more value from the Black Swans. The first step is to focus on the potential consequences of the unexpected instead of focusing on the likelihood that the improbable will occur. The effects of making a mistake in weather forecasting, for example, are often trivial, while the consequences of making mistakes in stock market forecasts can be devastating. For this, the idea is to prioritize their beliefs according to the damage they can cause rather than the chance of them happening. What do you believe could have the most significant impact on your life today? That is the point that should take your sleep, not the one (which you believe to be) most likely with a minor impact. You should invest the majority of your capital (85-90%) in extremely safe instruments, such as direct treasury. The 10-15% that is left over, you should put in extremely speculative investments, such as venture capital. So you do not have to worry about risk management and place yourself partially at the mercy of Black Swans. The goal is to be very exposed to the positive Black Swans and remain paranoid about the negatives. The events with the most significant impacts on your life will be unexpected, the black swans, because of our cognitive biases and our inability to predict these events. So learning through trial and error matters a lot and our brains have a hard time accepting this. Embracing this process can help you accomplish more. And if we cannot rely on predictions, then it’s important to rely only on those whose subject matter is trivial. Avoid making predictions about the great complex issues that may deceive you in the future. Be mistaken about simple concerns, not complex ones. If the subject is future, you must always be skeptical and open-minded for positive and negative events. Never discredit something, just by seeming improbable. One way to keep your mind open to positive cases, for example, would be to increase your exposure to situations where they could happen, such as social events, dinners, and set the stage for unexpected but valuable encounters. Taleb’s last advice is, in addition to not exposing much to future predictions, try also to avoid doing them, you are wasting your energy unnecessarily. The book has an unusual analytical style that is personal and literary at some point, but his heterodox and unique perspective can sometimes be rigorous and accurate as well. By combining these several factors, you’d come up with a breathtaking, disturbing, antagonistic and unforgettable book based on randomness, spontaneity, and changeability. We leave you to find out the details. And now we continue with the principal lessons you can expect to find in “The Black Swan”‘s lines. In the 17 century, the European schoolboys were taught by their teachers that the swans are white. Their theory overlapped with the fact that every swan they examined had a snowy white plumage. Willem de Vlamingh, a Dutch explorer, was among the first Europeans who set foot in Australia’s wilderness. Without any previous preparations, Vlamingh started his exploring expedition by searching the continent for wildlife and unique ingredients. Soon after he discovered creatures that were not familiar to him nor his crew such as kangaroos, teddy bears – koalas, Australian Dingo and would you know it a black feathered bird that looked exactly like the White Swans in Europe. Detailed observations and investigations were made before Willem de Vlamingh realized that they were Swans just like the ones that he has seen in his homeland, so he challenged the scientists back in Europe to reformulate their beliefs and scientific facts. If you think about a story any business story, the first thing that comes to our minds would be the challenges that an average businessman faces during his path. Every story begins in the present or the prosperity that the businessman encounters after so many years of struggle. Afterward, the story takes a step back by reminding us of his humble and penniless beginnings. Nassim Nicholas Taleb challenges this idiotic concept of making a story by providing a simple sample like when some person becomes a lottery winner and declares that he/she is a genius for choosing that particular number and denying the fact that the number they’ve picked was just a mere luck. The human mind has been at the very center of unexplored mysteries that intrigued philosophers since ancient times. There’s a saying: There is one Earth but 7 billion of worlds. Later on, the humans realized that our minds could see different percept realities out of one situation. So are you a “Mediocristan” or “Extremistan.”?. These two represent catchy and memorable metaphors for remembering and perceiving two highly divergent rankings of phenomena. The phenomena that can be described falls into the Mediocristan category while the phenomena where a single event or a person that cannot be explained is referred as Extremistan. If you can predict when an aberration may occur and what impact will it have than an Extremistan orientation is not so bad. The problem is that no one can precisely and accurately calculate these phenomena. To understand this better you may consider Hit Movies or best seller books for example. Screenwriter or an author may be 100% confident with their work. However, that is not enough to guarantee them fame and early success. Despite Taleb’s clear medical tips, some readers may ﬁnd the book too harsh at some moments, The Black Swan is intended for persons who are more likely to believe in unproven data that are unsupported by any facts. It also teaches them how to embrace spontaneity and randomness and how they can overcome “black swans” when needed.